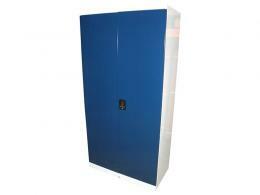 Practical cupboard for cleaning & janitorial storage. These products are great for creating storage space for cleaning and janitorial supplies, but they can be used to store other items. They are carefully constructed from 0.8mm thick steel, and they are great for storing harsh cleaners and cleaning tools, such as mops and brooms. The strong steel and secure locks make these products great for keeping harsh cleaning chemicals away from employees and the public. Where Can these Products be Used? 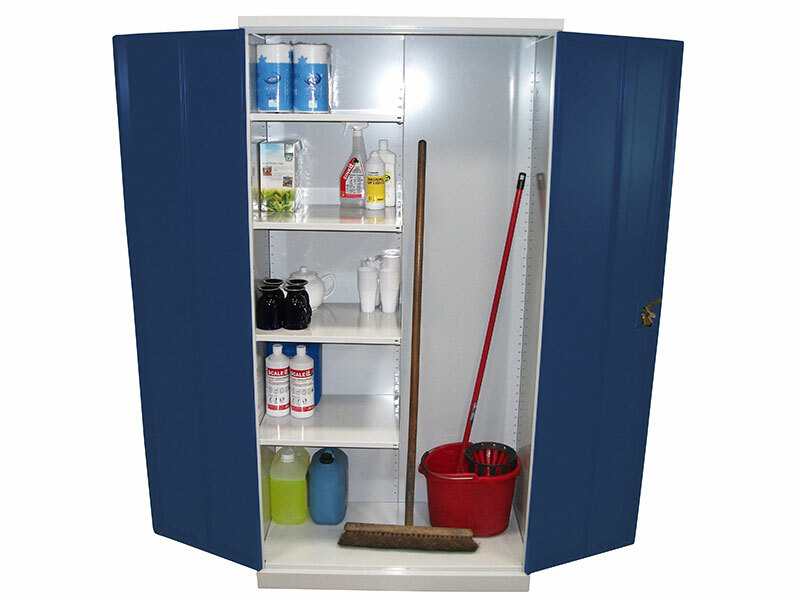 Every workplace, community center, garage and any other area that needs economical and reliable storage units could use utility cupboards. They keep your spaces clean and clear by providing a storage space for things like unsightly cleaning supplies, and they keep harmful cleaners and chemicals away from clients, guests, and workers when they are not being used. Who Might Use these Products? Anyone who needs a safe and budget friendly way to store items at work or at home would find these products useful. 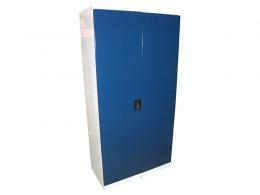 They are especially great for those who perform janitorial work and need a safe place to store their cleaners and tools. They could also be used by individuals who need to store things like gardening supplies or even office products. 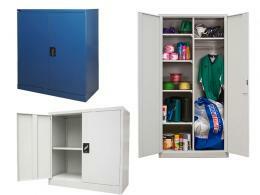 These utility cupboards come in two styles, so you can choose which one best suits your needs. They are delivered already assembled, so you don’t have struggle to put them together. You can easily adjust the height of the shelves in 30mm increments until they fit all of the items you want to store. They feature a smooth painted finish and are crafted from hardy 0.8mm thick steel, so you know your items will be safe. The 3 point locking offers an extra level of security. These products come with a 10 year guarantee.